Boys red cotton long sleeved shirt or bodysuit with an appliqued puppy. 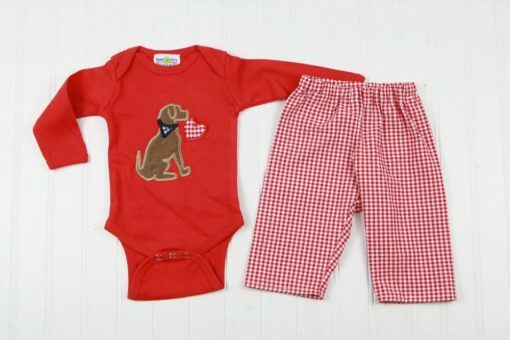 The red gingham pants are a perfect match. 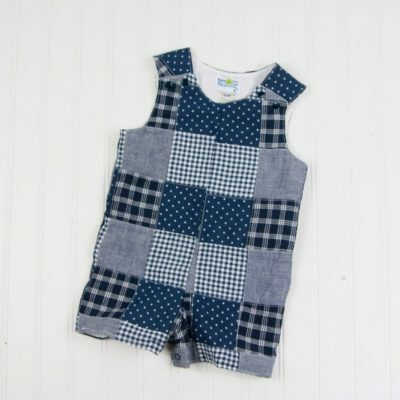 You can order the complete outfit, or just the top or pants. There’s also the option to add a name under the puppy. Price adjusts in bottom right corner based on your selections. Shipping Class A (see shipping options in cart at checkout). 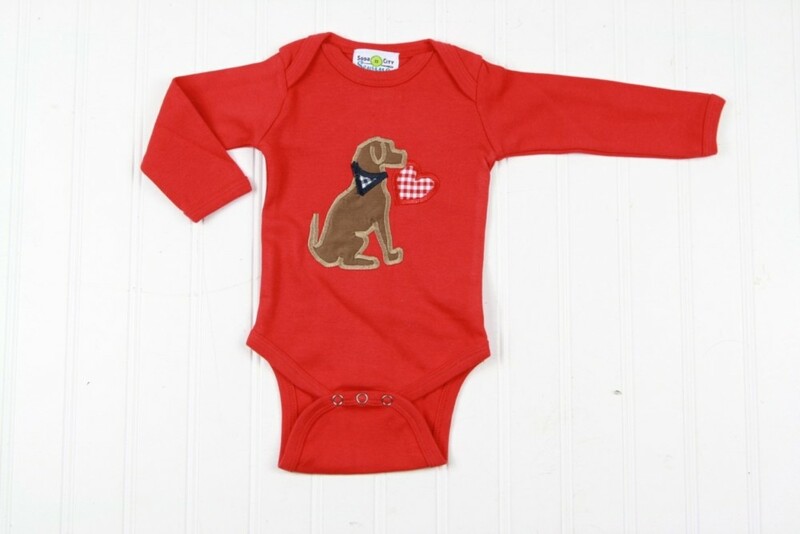 Our newest Valentines Day Outfit for kids features a loyal little puppy on a bright red shirt or bodysuit! The perfect outfit for a date with Mama, the school party, or all February long. 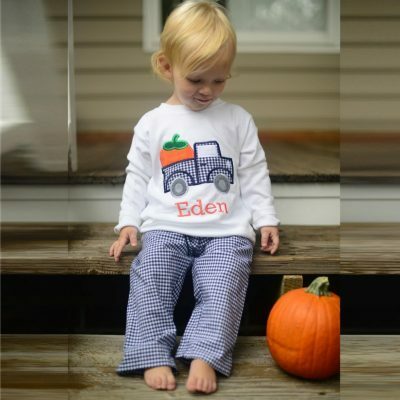 These outfits are so comfortable for babies or toddlers, that they will ask to wear it. The fun gingham pants have elastic waist for a comfortable fit, and can go with other shirts already in the closet! 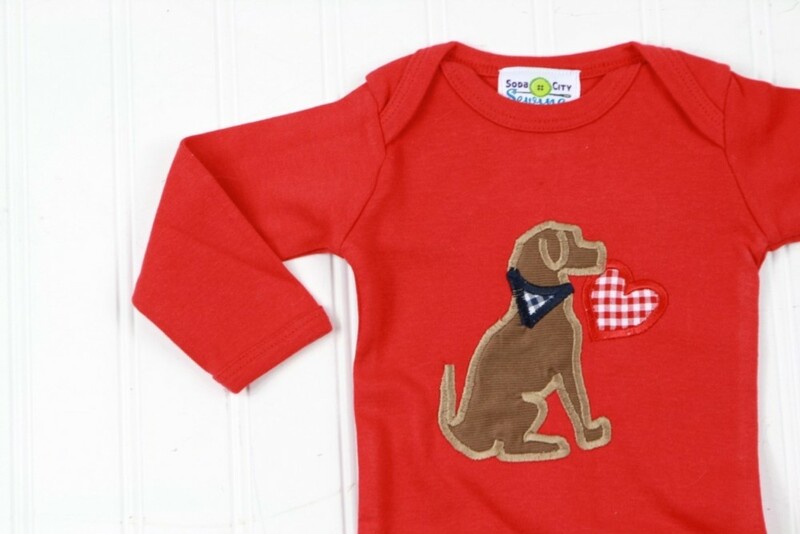 The long sleeved red shirt comes appliqued with the puppy and the heart. 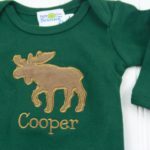 Embroider a name underneath for a personalized touch! OPTIONS: You can order the top, add a name, and/or add the pants. 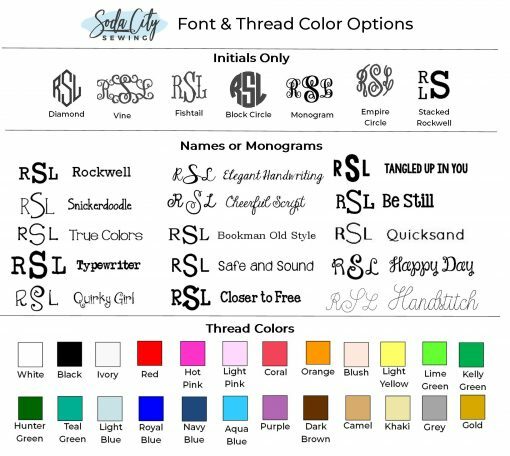 The font and thread color you select would be for the name or initials embroidered on the outfit under the applique. We suggest white, navy, or camel thread for this outfit. The most popular fonts are rockwell and bookman old style for boys. If you select No shirt or No Pants it will take that amount off of your total, the price adjusting in the bottom right corner. MIX AND MATCH: Consider adding another shirt to go with the pants for even more wear! All of our outfits are available as separates or full outfits! 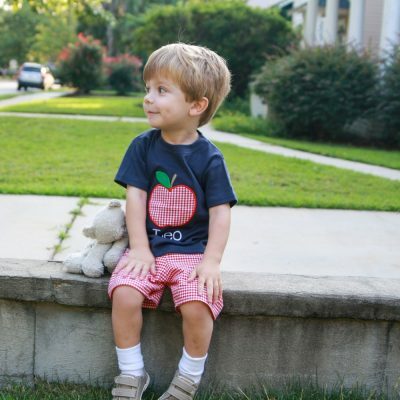 Find more shirts to go with red gingham pants here! 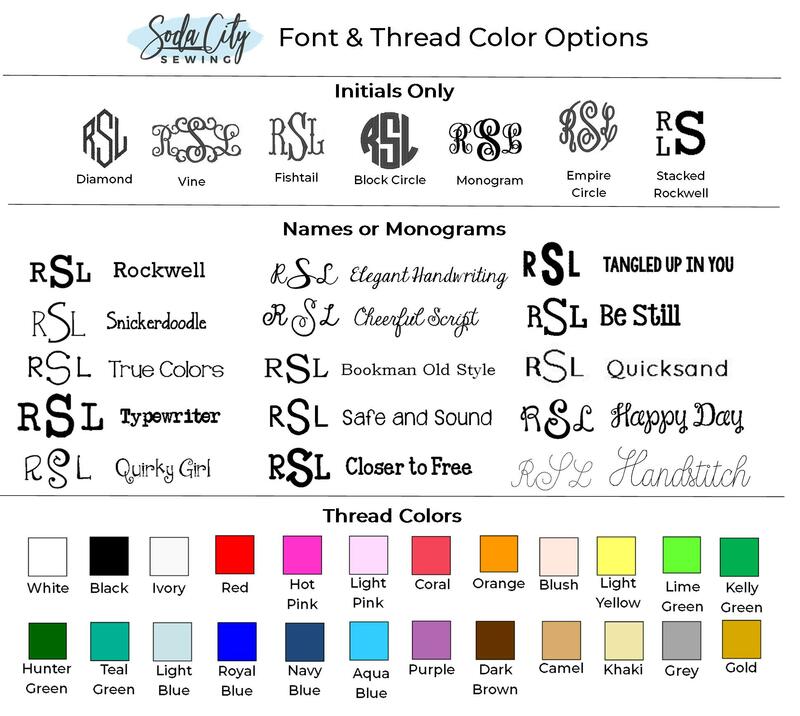 Thanks for visiting Soda City Sewing, where we’d love to make a custom kids Valentines shirt for you!